I always believed I could analyze any situation until I found a solution. Solve any problem if I just applied my brain. I went to university, studied science, and told myself my academic cocoon would protect me from the alphas dominating our society. I was wrong. No textbook prepared me for my meeting with test subject 351. 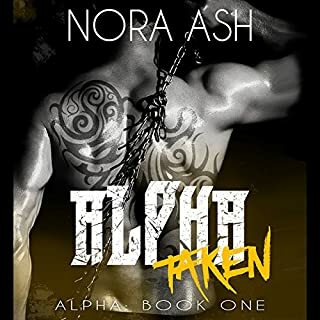 The biggest, scariest alpha on death row hauled into my lab to uncover how to control the beast of a man. But there is no controlling the feral alpha, and no logic strong enough to save my mind once he unleashes his fury on my body. I never thought being saved from pain, degradation and death could come at such a twisted price. He is nightmares made flesh, the living embodiment of everything I fear. Yet in my darkest hour, he is the one who comes for me. If he demands my submission in return, how can I deny him? Locked safely away in Shepherd's nest, Claire is unaware of what stirs aboveground. Her time is occupied fighting a war of another kind. Due to her mate's relentless exploitation of their pair-bond, the nature of their link has grown consuming to the point that Claire has difficulty differentiating where her feelings begin and his end. I'm one of four Willow daughters. He's the first-born son of the Scafoni family. And we have history. For generations, the Scafoni family have demanded a sacrifice of us. A virgin daughter to atone for sins so old that we don't even remember what they are anymore. But when you have as much money as they do, you don't play by the rules. You make them. And Sebastian Scafoni makes all the rules. The moment I saw him, I knew he would choose me. Even though the mark on my sheath declared me unclean. He made me his. And then he set out to break me. When everything is on the line, how far will you go to protect those you love? What if the cost of saving them is your soul? Would you pay it? I thought I was prepared for what was coming; that if I made sacrifices, I could win this game. I’m no longer afraid of the darkness or the monsters that hide in the shadows. I’ve become what I feared most, allowing it in to protect those I loved. Sometimes it takes a monster to win. Sometimes to fight monsters, you have to become one. My only fear is…can I come back from it? My mate became mine during a heinous experiment designed to punish her for her disobedience. The scientists who locked me in a cage and stole my humanity gave her to me to ravage. To break. But she is far more than a warm body to distract me from my torment. They took everything from me - but I won’t let them do the same to her. She fears me, but there is nothing I won’t give to save her. 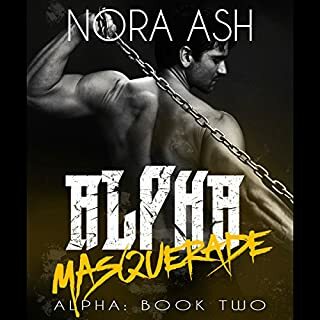 Despair is the second book in Nora Ash’s suspense-filled Omegaverse serial, Feral. Please note: This series gets dark, and it gets dirty. 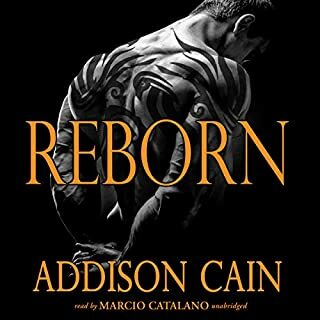 If you don’t enjoy your romance scorching and your alphas rough and dominant, give this book a pass.